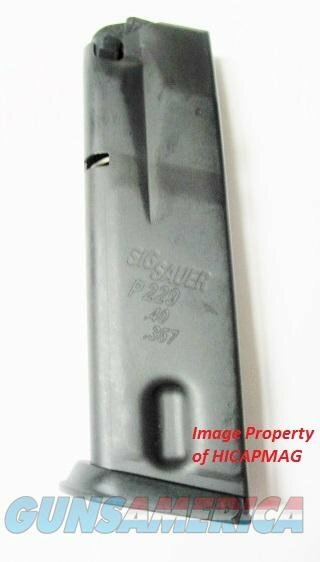 NEW Original German made 12 round P229 magazine for the .40 or .357 Sig Sauer 229 pistol. These were made during the mid 90's when they were made by Sig in Germany (not Meccar in Italy). These have the dove tail back and rear witness holes. These are the very best. Magazines like this in New condition are extremely rare. Buyer pays $8.95 shipping shipped USPS Priority Mail w/Tracking number. Payment to be made by Certified Check, Money Order or Personal Check (item held till cleared. Sold only where legal. Check my other auctions, As I combine shipping.